OK, it’s an old saying but nevertheless: The worlds best camera is the camera you bring with you, especially when there is a shot you’d otherwise have lost. Yes, the quality is not as good as when I bring my Lowepro bag stuffed with DSLR equipment and a tripod. But sometimes you just happen to experience a beatiful or maybe unexpected sight that only lasts for a few minutes, and you want to capture it in some form, for you to recall later. Point in case: Here are a couple of shots to illustrate this, from a few recent business trips to Finland. 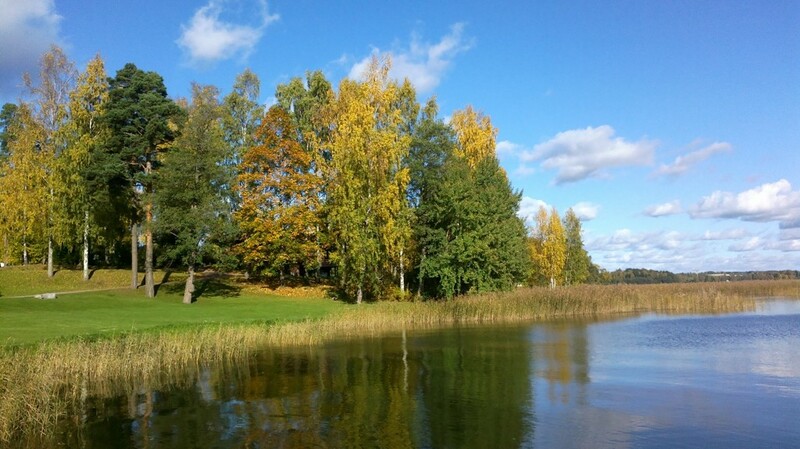 Finns usually enjoy a short but intensely coloured autumn. The first one here is taken a bit west of Helsinki, during a small break in a day-long meeting session. 60 seconds after I took this shot, the light changed and the green-yellow-brown colours faded somewhat away. The second one here is also from Helsinki — from (and through!) the hotel window in the early morning, in fact. 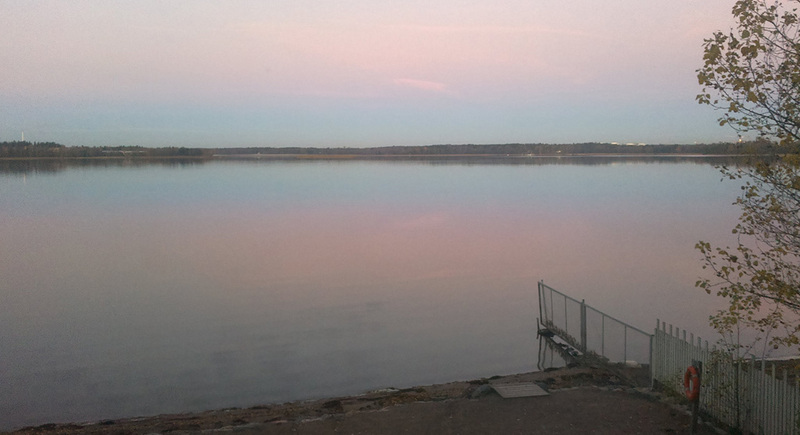 Totally unexpected sight for me when I pulled the curtains: A beatiful subdued scene with quite intense red tones from the rising sun reflected in the very calm sea. A few minutes later, the red colours were gone from the scene. Obviously none of these pictures are unique or something truely special. But as I look at the scenes now somewhat later, I can still recall the impression the scenes left on me. So sometimes your camera phone (here a Nokia 700) will do a good-enough job for you! You are currently browsing the Per's Page weblog archives for November, 2011.